One of the most famous and tourist village of Rethymnon, Anogia village in Crete, is perched on the slopes of Psiloritis at an altitude of 700m. Local music, folk art and tradition are the elements that have remained unchanged in time, since the inhabitants of the village carry them from generation to generation. 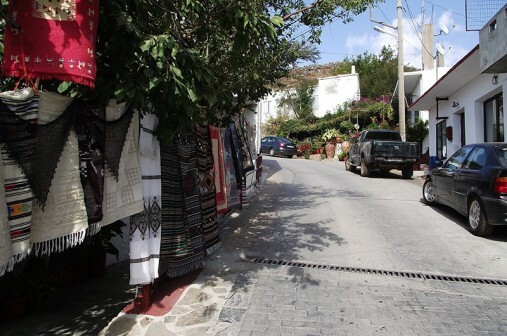 The famous Cretan weavings almost monopolize the merchandise of the stores in central alleys and streets of the village, while the cafes are a meeting point for locals and tourists who make a stop to drink raki and taste Cretan dishes. 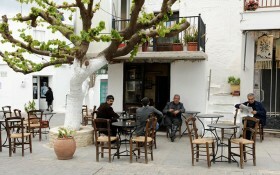 The famous Cretan weaving’s almost monopolize the merchandise of the stores in central alleys and streets of the village, while the cafes are a meeting point for locals and tourists who make a stop to drink raki and taste Cretan dishes. During the summer months, the central square of Saint George is always crowded, and many musical and theatrical performances are organized. The highlight is the music festival “Iakinthia”, on the first week of July. 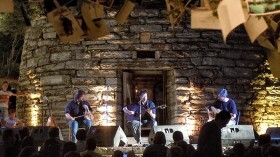 Some of the most important personalities of Cretan music have participated in this festival, such as Nikos Xylouris and Vasilis Skoulas, born and raised in Anogia village. 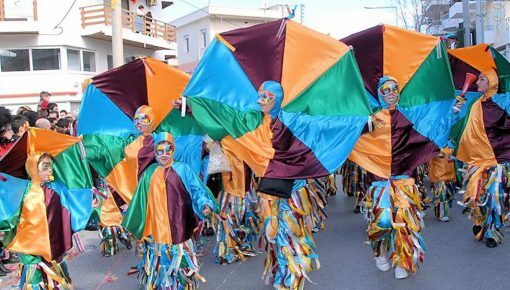 This is a reason why the village is strongly associated with the Cretan musical tradition. 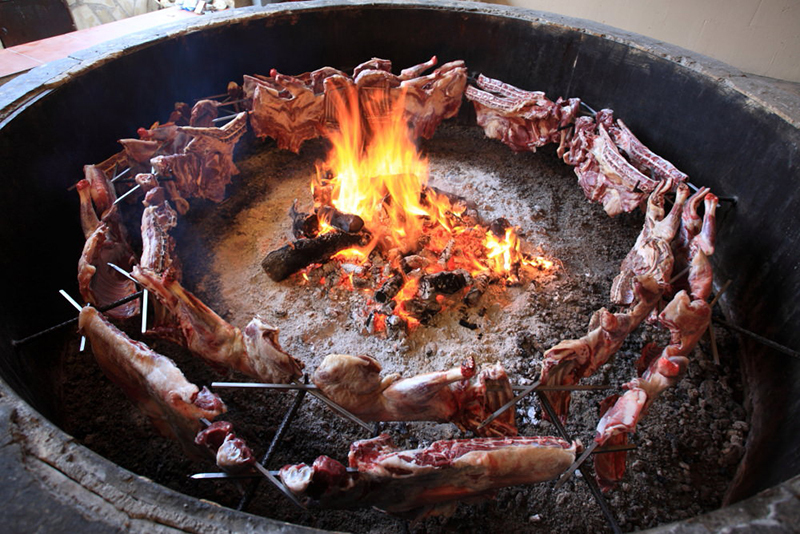 During your winter holidays in Crete, the raki cauldrons are already set on fire and Psiloritis is preparing dress in its white cloak. 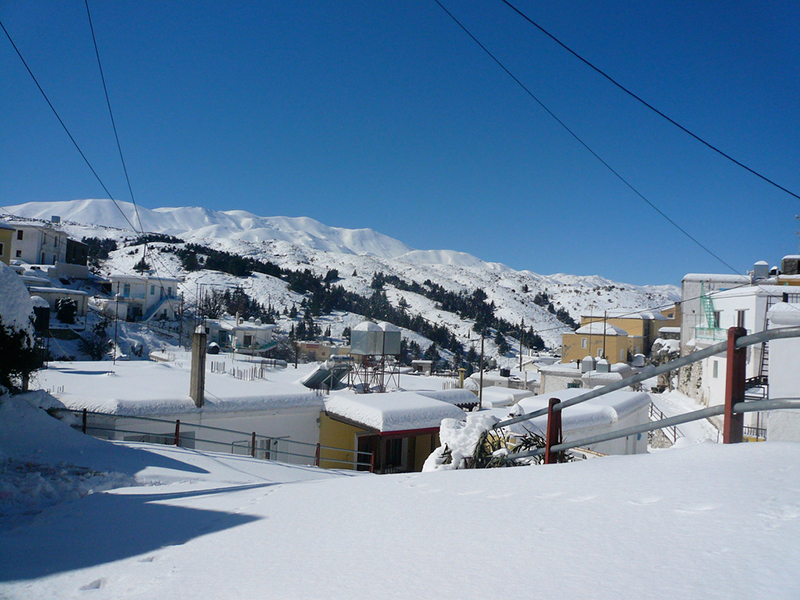 Even in Summer or Winter, you will realize that the journey to this special Cretan village is always a unique experience. After you have enjoyed your coffee or your raki, the smells of the restaurants combined with the fresh mountain air, have probably made you feel hungry. The local cuisine is the most special of Crete, thanks to the products of the land of Psiloritis: vegetables, fruits, greens, herbs, aromatic plants etc. The excellent olive oil, honey, cheese as well as local meats are famous for their authentic taste. 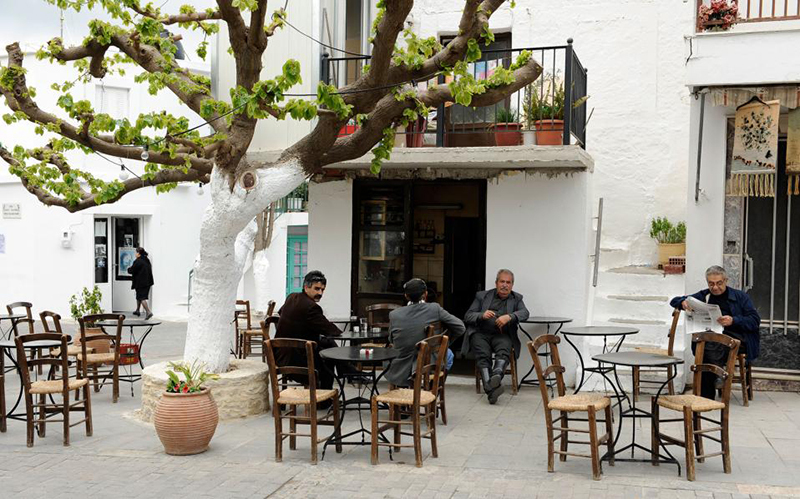 Visit the traditional taverns of the village and try “antikristo” (different parts of Cretan lamb cooked “facing” one another), and pasta with local ricotta cheese. 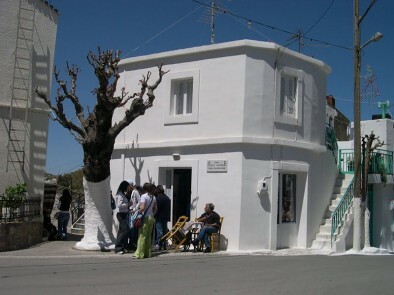 To digest all the goods you’ve eaten in the tavern, you may have a walk and visit the main attractions of Anogia village. 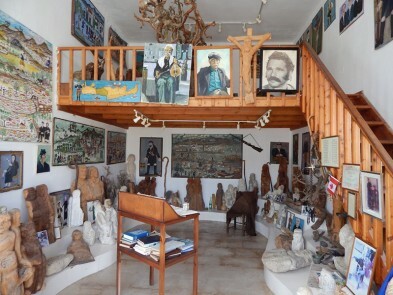 On the south end of the village, in Perachori, you can visit the house where Nikos Xylouris grew up and the museum in which are exhibited the woodcuts of the folk artist Alcibiades Skoulas, father of the musician Vasilis Skoulas. 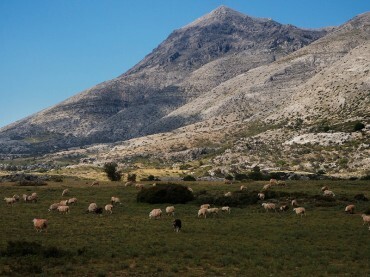 The area of Psiloritis is ideal for excursions and presents a great naturalist interest. 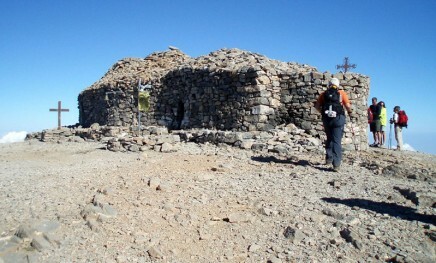 Mountaineering clubs organize trips to various areas of the mountain. 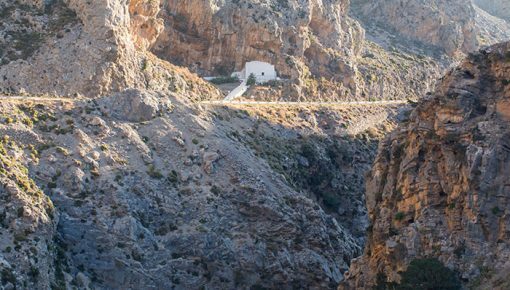 If you are fond of mountaineering, climb to the top, where is the stone church of Timios Stavros (Holy Cross). 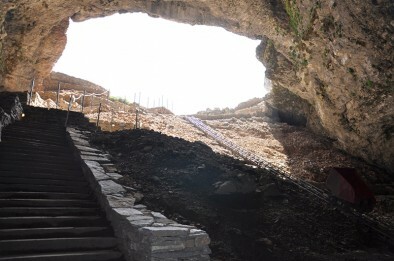 The area of Sfendoni has many unexplored caves for lovers of speleology. 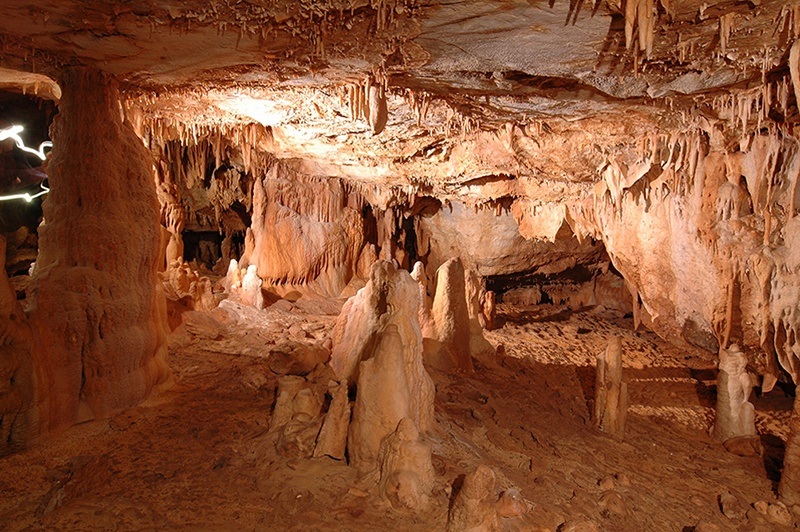 The cave called “the Hole of Sefendoni”, will reward you with its rare and impressive stalactites and stalagmites. 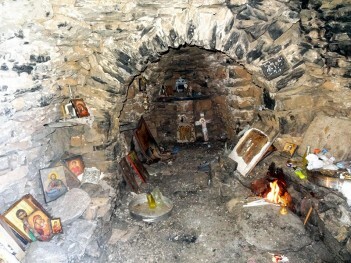 It is located in the nearby village of Zoniana. 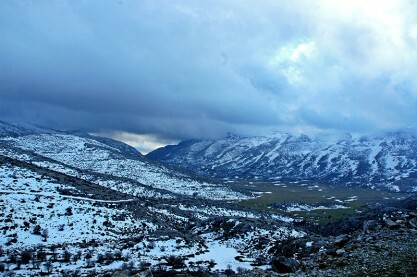 Nida Plateau is at an altitude of 1,400 m., in the center of Psiloritis. There, according to mythology, the goddess Demeter fell in love with the mortal Iasion. It is completely flat and hosts old, restored, stone “Mitata”: stone structures made by farmers, so they could stay and perform some livestock and agricultural activities. At an altitude of about 1,500 m., you will find Ideon Andron, the cave where Zeus was raised, as it is said, by the goat Amalthea. The excavations proved that Ideon Andron was used as a place for Minoan worship, which was revived during the Hellenistic and Roman times. Archaeologists also brought to life bronze and clay statuettes, shields, weapons, jewelry etc., which are kept in the Archaeological Museum of Heraklion. 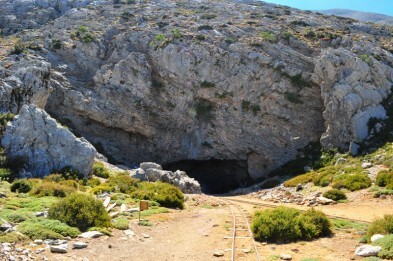 It is located on Psiloritis in Skinakas, close to Anogia. 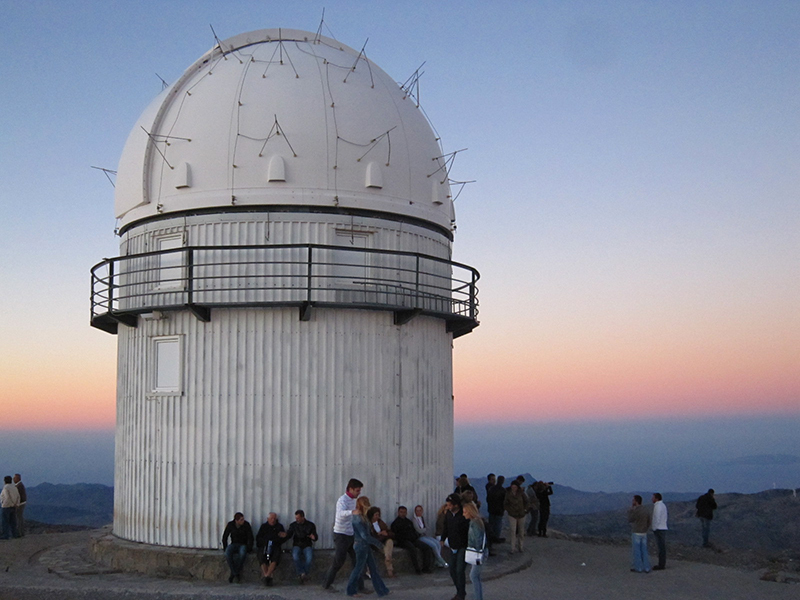 It is staffed by a team of Astrophysics of the University of Crete and a team of the Research and Technology Foundation. The Observatory opens to the public on predetermined dates and hours. You can find more information here. Posted on 17 Dec 2015 in Rethymno and tagged Traditional Crete Villages, Winter Holidays In Crete.